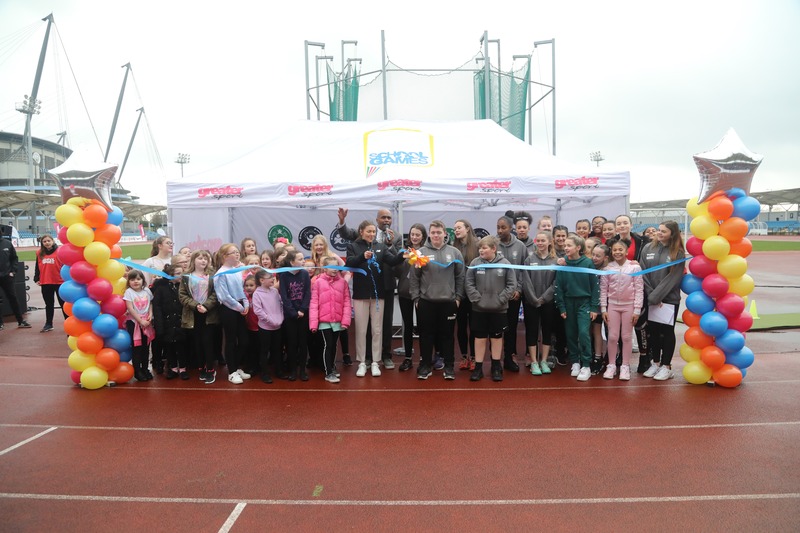 2,000 school pupils from across Greater Manchester gathered at The Regional Athletics Arena for the opening ceremony of the 2019 Greater Manchester’s Winter School Games. MC Paul Sleem delivered the Opening Ceremony with special guests including professional BMX rider Matti Hemmings, Olympian Kelly Massey and ‘Greater Manchester’s Got Talent’ competition winners, Greswell Primary School dance group. The Greater Manchester Summer School Games will take place on Friday 26th June where more young people from across Greater Manchester will come together to take part in 21 competitions in 15 different sports.